Jay Train's civil litigation defense practice focuses in the areas of professional liability, product liability, healthcare, nursing homes and transportation litigation. 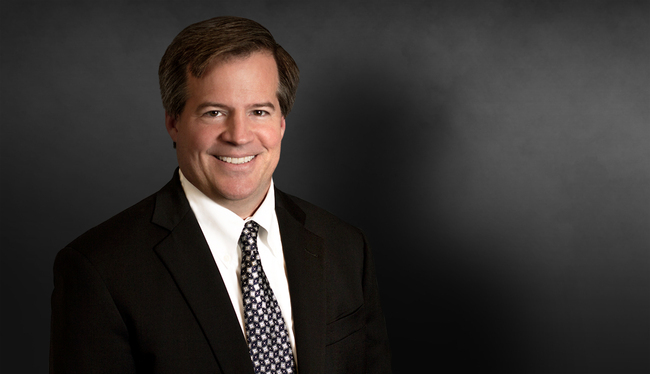 He has handled cases in 10 states on behalf of trucking companies, nursing homes and other businesses involving issues of premises liability, product liability, long-term care liability and medical malpractice and claims of negligence by employees. Jay has tried more than 30 cases to verdict, serving as lead counsel in a majority of them. Serves as counsel to one of the world's largest insurance firms in litigation related to professional negligence and other general liability. Served as trial counsel to one the top hospital operators in the U.S. in a variety of litigation across the country. Serves as regional trial counsel to the nation's largest provider of diagnostic imaging, rehabilitative health care and outpatient surgery services. Represents the second largest business insurer in the country in medical malpractice, premises liability and catastrophic injury cases. Defense verdict, following a two-week trial, for a large medical group in Fulton County, Georgia, in a case alleging failure to diagnose hydrocephalous, resulting in a brain damaged child. Represented one of the world's largest cement manufacturers in a case of clear liability, where a worker became severely injured on a job site due to negligent maintenance. The verdict was one-fourth of plaintiff's pre-trial demand. Defense verdict in a medical malpractice case where an internal medicine doctor administered coumadin then allegedly did not properly monitor the patient, who suffered a cranial bleed rendering her blind. Participated in defense of the third largest processor in the U.S. poultry industry after one of its delivery trucks collided with an SUV. Allegations of a traumatic brain injury were not proven and plaintiff's $14 million demand was reduced to an award in the amount of the primary layer of insurance coverage. Favorably settled case for same-day delivery service company after a delivery truck driver was involved in a head-on catastrophic collision after allegedly falling asleep at the wheel. Defense verdict for airport paving contractor in wrongful death case lasting one-week in Pennsylvania Federal Court. Successfully defended nation's largest automotive lobby and consumer group in a two-month trial in New Jersey, in lawsuit brough by severely burned victim in automotive accident/tow truck accident. Presented a seminar on carbon monoxide claims focused on "How Plaintiffs Present the Case, Experts and How to Defend"
"Handling the Catastrophic Injury Case," The Daily Report's In-house Counsel CLE Seminar, July 25, 2013.